Biomechanics: Development and engineering design of biomedical products, such as implant components, artificial organs, medical instrumentation and medical robotic devices. Brakim: A student excellence program in the Faculty of Mechanical Engineering. 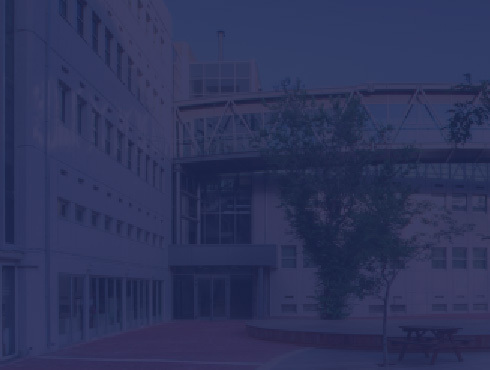 The latest in a series of joint Israel Defense Forces (IDF)/Technion academic initiatives. Design, Manufacturing and CAD/CAM: Development and manufacture of new products integrating computerized design and manufacturing systems; design methods taking product lifecycle into consideration; advanced modeling and manufacturing systems and methods, including reverse engineering, optical systems and microsystems; flexible manufacturing systems and processes, such as assembly and manufacture of mechanical and plastic parts. Energy: Design of energy systems, including devices for developing energy sources (fuel cells, wind energy, solar energy) and means of propulsion (advanced transport devices); using energy for diverse applications, such as fluid flow, heat transfer, climate control (cooling and air conditioning) and air pollution control, flow and heat transfer in medicine, flow and heat transfer in electronic devices. Material Mechanics and Microsystems (MEMS): Mechanical analysis and failure prevention in large and micro structures with mechanical, thermal and electromechanical loads under static and dynamic conditions. Optical Engineering for Mechanics: Research and development of complex optical-mechanics systems for lasers and integrated optical components for the high-tech industry. Naval Architecture and Ocean engineering: Principles of Engineering Design of ships and nautical structures for: transportation, defense, ocean energy industry, open sea aquaculture, sea sports and leisure activities. Revadim Program – Mechatronics, Robotics, Control, Dynamical Systems: System creation using combined knowledge in dynamics and design of robotic and mechanical systems; system development by studying and combining basic knowledge in the fields of kinematics, dynamics, control, sensors and computers; design and analysis of feedback systems required in all advanced systems. Reliability: Analysis of technological systems to assess and neutralize risks using design, management and strategic planning techniques. Surface engineering: Finding solutions for problems of friction, wear and tear and lubrication in classical mechanical engineering and for microtribology problems in microsystems. Computational mechanics: Development and intelligent use of computer software for computerized imaging and computational analysis of high-tech processes in engineering (solid and flow mechanics, heat transfer, CAD/CAM and design).